In its most recent issue, InBuilding Magazine’s Senior Editor, Alan Dorich, took the time to speak with our VP of Business Development, Robert Bianco, to learn more about the history of Hylan, working for Hylan, and how the company is leading the way when it comes to smart city initiatives. Operating as a true provider of turnkey services for its clients in the wireless, wireline, municipal and utility sectors, Hylan masters the areas of comprehensive communications solutions, electrical infrastructure design, engineering, fiber optic and construction services, and more. 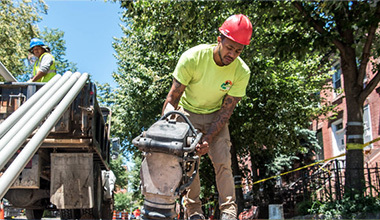 Through its services, Hylan continues to meet the ever growing demand for network capacity, including ultra-fast broadband, 5G networks and densified fiber deployments. Check out an excerpt of the article below, or read the full article here. In looking back at Hylan’s rich history, in 1960, John DiLeo Sr. (father of current Hylan CEO and president, Robert DiLeo and John DiLeo, Jr.) first started the company as Hylan Datacom & Electrical as a family-owned commercial electrical contractor. 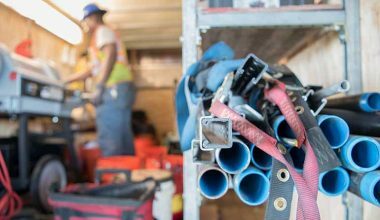 “Hylan was founded out of a hardware store on Hylan Boulevard in Staten Island, [N.Y.],” Bianco explains, adding that it became an IBEW Local 3 contractor in the 1970s and later grew to do wireline services for the major cable companies in the mid-1980s. At the time, there were not many companies providing these services, which allowed Hylan to enjoy strong growth. 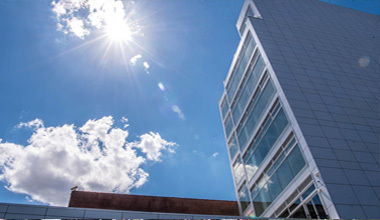 Hylan’s relationship with the telecommunications space deepened as it approached the 1990s, completing several fiber optic installations on behalf of major network operators. In 2007, Hylan constructed its first DAS system, making its way into the wireless business. Over time, Hylan began working on heavy highway, toll and infrastructure projects. 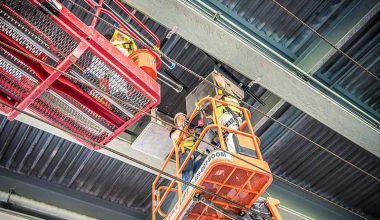 “That is similar to the work we do today,” Bianco says, adding that it has completed electrical and datacom projects at Grand Central Station, Governor Mario M. Cuomo Bridge, and many Tunnel crossings in New York City. Today, Hylan works with major mobile operators to transform prevailing wireless infrastructure to meet next-generation 5G standards. It also recently completed work on a new distribution center for e-tailer Amazon in Staten Island, N.Y. “We had 175 local union employees working under the Hylan [name],” he recalls. READ FULL ARTICLE on InBuilding-magazine.com.